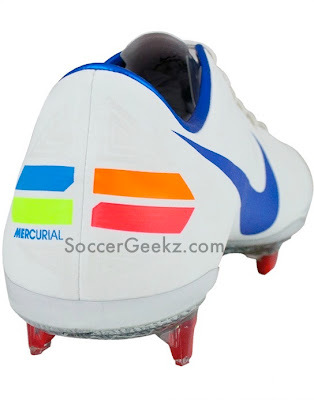 The Vapor VIII is the top-level boot of the Mercurial line once again so no Superfly this time around but Nike is expected to bring the Superfly back in 2014. 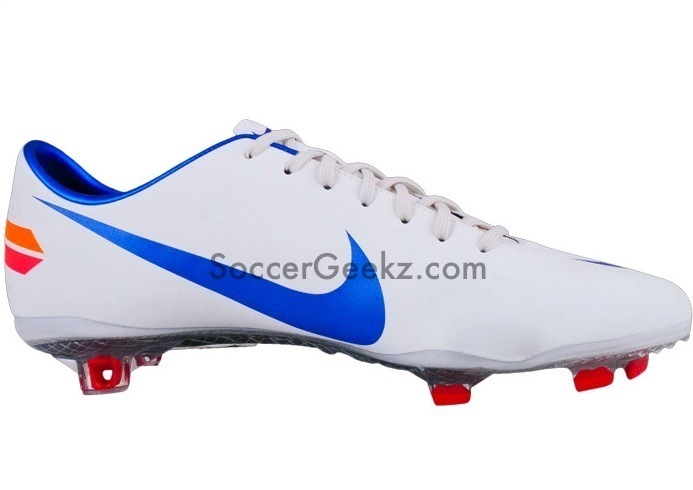 Nike has revamped the Mercurial series meaning there are quite a few changes with the new Vapor! 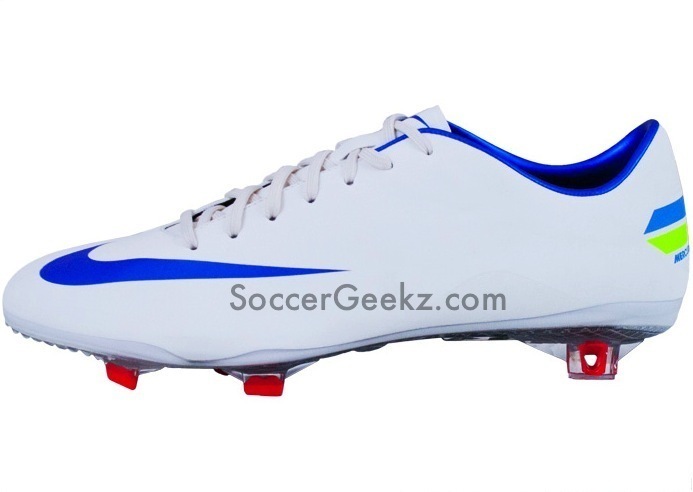 First off is the new upper on the Nike Mercurial Vapor VIII, the upper is constructed from a super soft and extra-thin synthetic leather upper which is designed to be light and conform to the shape of your foot. 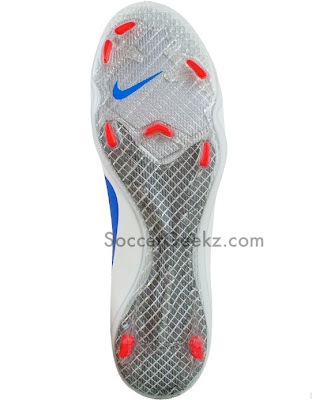 The full-length Tepex glass-fiber chassis reduces the weight of the Vapor VIII while maximizing strength. The new stud layout is designed to provide better traction when making quick cuts and sharp turns in various directions. The track spikes located at the front of the boot will provide instant acceleration. The Vapor VIII will also be available in a hybrid version to provide maximum traction under wet and muddy conditions. 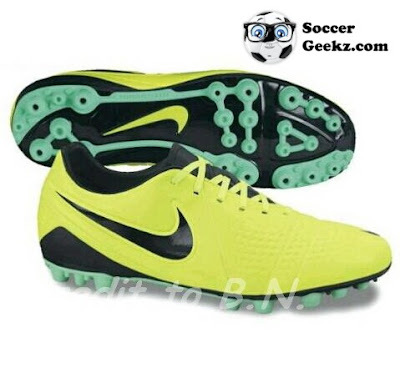 The perforated sockliner provides low profile cushioning and support while reducing cleat pressure. The four stripes located on the heel will make it easier for teammates to spot you on the field; it essentially serves the same purpose the volt pattern did on the Superfly III and Vapor VII. 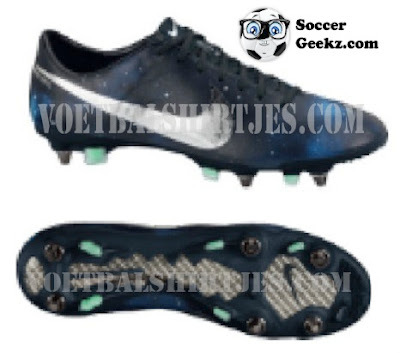 The firm ground Vapor VIII weighs in at 187g while the soft ground version comes in at 216g. You can pre-order the Nike Mercurial Vapor VIII at WeGotSoccer.com by clicking here.